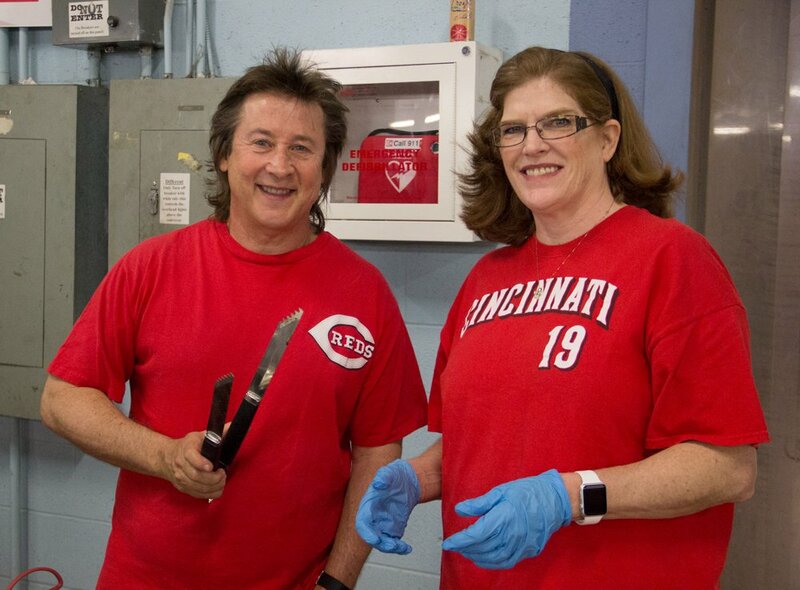 It’s Opening Day – Go Reds! After a little delay due to the weather conditions, the opening day of the Major League Baseball is finally here and we cannot be more excited about it. 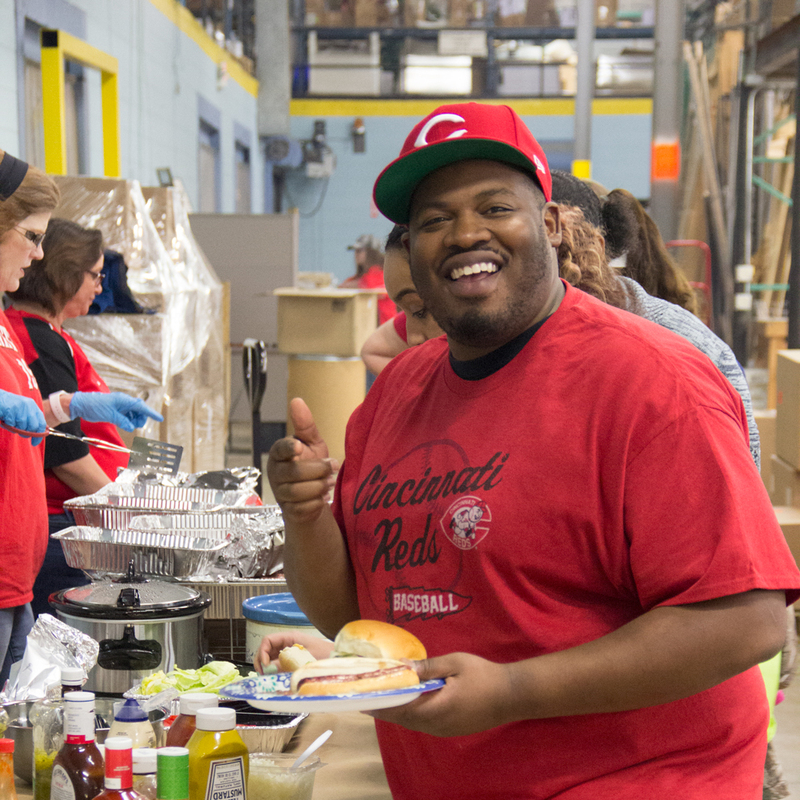 We at FrameUSA are all in and cheering for our home team, the Cincinnati Reds. 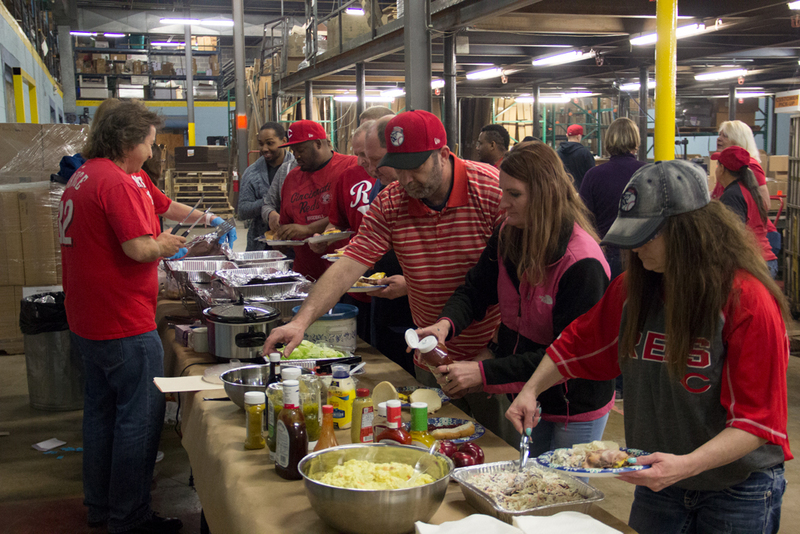 To really get in the spirit of the season we kick started with a cookout event at our office today, showing our spirit by being dressed in Red apparel. Here are some pictures of the exciting event we had today. Look on and enjoy! Here is a special something we have for our customers in the spirit of the opening day of the baseball season – We are offering a 10% OFF ON ALL RED PICTURE FRAMES running on our website with Coupon Code: playball225 and it includes all variations of Red like Cherry and Mahogany, just to have more options for our customers to choose from. Don’t forget to take advantage of our opening day discounts which will be running till Monday April 2nd midnight. We wish everyone a Happy Opening Day and hope they enjoy the bright season ahead! Today marks the birthday of Abraham Lincoln, the 16th President of the United States of America! Lincoln was born on February 12, 1809 in a log cabin in Kentucky. He was the middle of three children with his youngest brother dying in infancy in the early 1800’s. In 1816 the Lincoln family moved from Kentucky to Indiana, the main reason for the relocation was on account of property disputes and discrepancies in Kentucky, but another part was on account of slavery. The Lincoln’s were members of Separate Baptists church and had harsh moral standards opposing alcohol and slavery. Despite his religions standings, in 1842 Abe married Mary Todd who was from a wealth slave-holding family. The pair went on to have four children but tragically only one of them made it to adulthood. 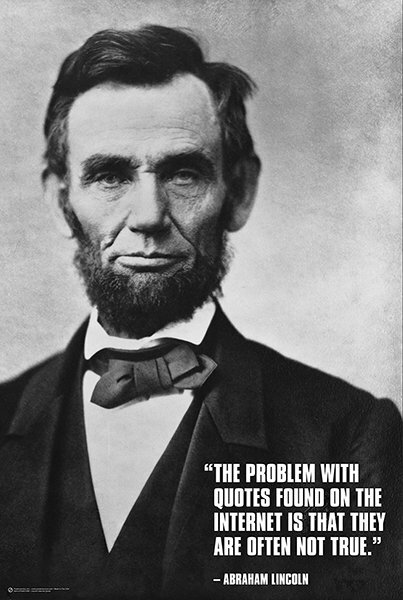 It was in 1832, after the failing of his general store in New Salem, Illinois that Abe began his political career. Two years later, on his second campaign, Lincoln won election to the state legislature and two years after that he was admitted to the Illinois bar after teaching himself law by reading a plethora of law books. Lincoln continued on as a lawyer and then a Republican leader until 1860. 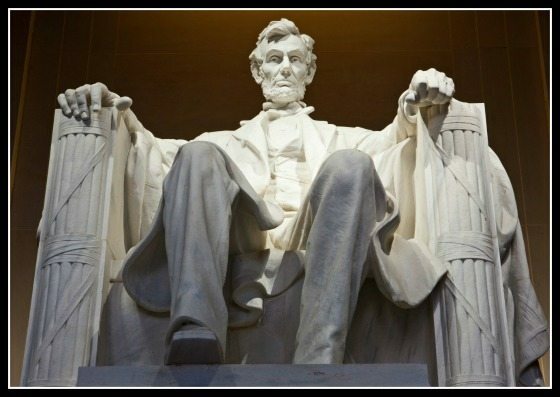 On November 6, 1860, Abe Lincoln was elected the 16th President of the United States and he was the first President to be elected from the Republican Party. Lincoln won this election only because of his support in the North and West; he only won two of the 996 counties in the Southern states and no ballots were cast for him in 10 of the 15 Southern states. The US was divided and that came to a head on April 12, 1861 when Confederate troops opened fire on the Union, marking the beginning of the Civil War. This war later became known as the bloodies war in American history with over 600,000 lives loss. On January 1, 1863 President Abraham Lincoln issued the Emancipation Proclamation. This proclamation declared that all persons held as slaves shall be then, thenceforward, and forever free! What a lot of people don’t know is that the Emancipation Proclamation on applied to states in open rebellion (Arkansas, Virgina, Texas, Nor Carolina, South Carolina, Louisiana, Georgia, Mississippi, Florida and Alabama) but not slave-holding border states (Missouri, Delaware, Maryland, Kentucky) or areas of the Confederacy that had already been under Union control. In simple terms; the Emancipation Proclamation prohibited the Union army from returning runaway slaves to their owners so any escaped slave who was able to get behind the lines of the Union army and any who lived in an area captured by the Union where therefore considered free. Four months after the Union defeated the Confederacy at the Battle of Gettysburg (the biggest battle of the Civil War), Lincoln gave his most famous speech, the Gettysburg Address. The Gettysburg Address lasted only two minutes and is only 272 words but it’s power was felt well beyond that. Abraham Lincoln was later assassinated by John Wilkes Booth on April 14, 1865 while watching a play at Ford’s Theater. He was killed five days after the surrender or Robert E. Lee as the Civil War was winding down. AFA was founded in 2002 by Bert E. Brodsky, whose mother lived with Alzheimer’s disease from 1980-1992. At that time, there was little information available and nowhere to turn for support. Mr. Brodsky’s goal was to make sure that no other family living with Alzheimer’s disease would have to go through the journey alone. To help with the vision, Frame USA will be donating to The Alzheimer’s Foundation of America in appreciation for your online order for the month of February. We are proud to support this great organization. Be sure to donate during the checkout process to help us support this great charity! 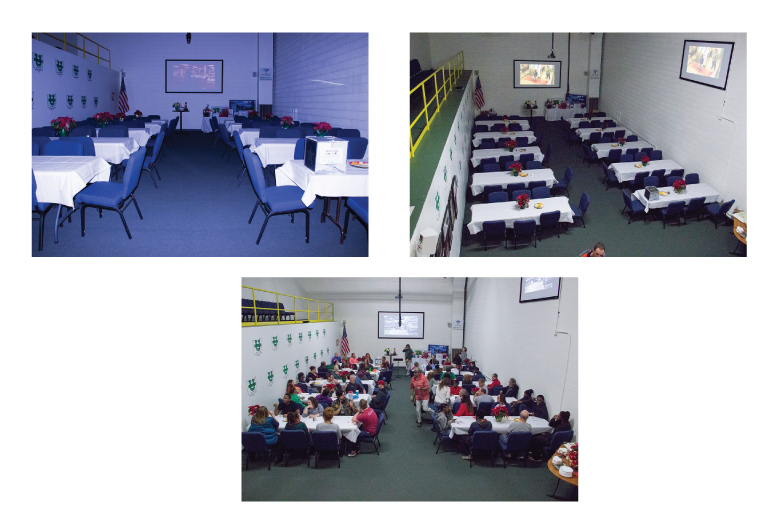 On Friday, December 22nd Frame USA hosted our annual Holiday party to celebrate the hard work every member of the team contributed in 2017! The party was held in the infamous Empower U room which was decked out for the holiday festivities. 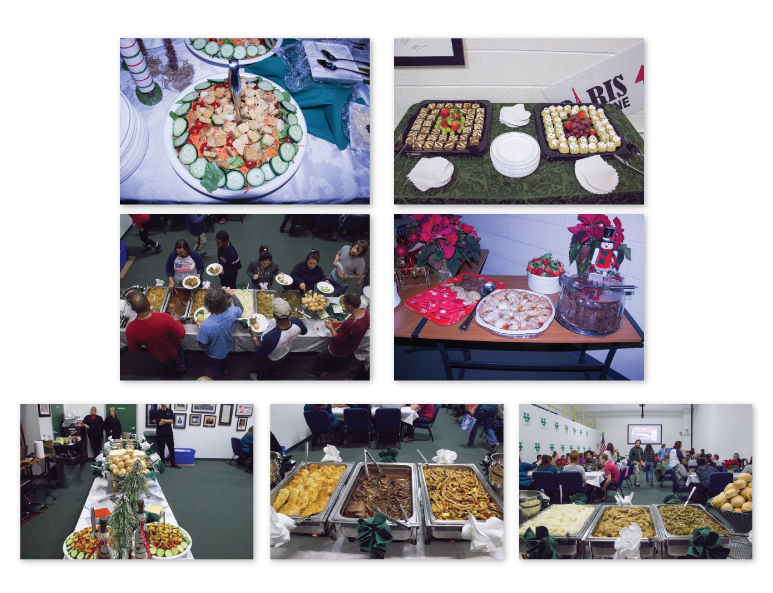 In addition to the wonderful decorations, the Empower U room was filled with a delicious assortment of food thanks to our lovely caterers and a few employees who decided to bless us with some desserts. 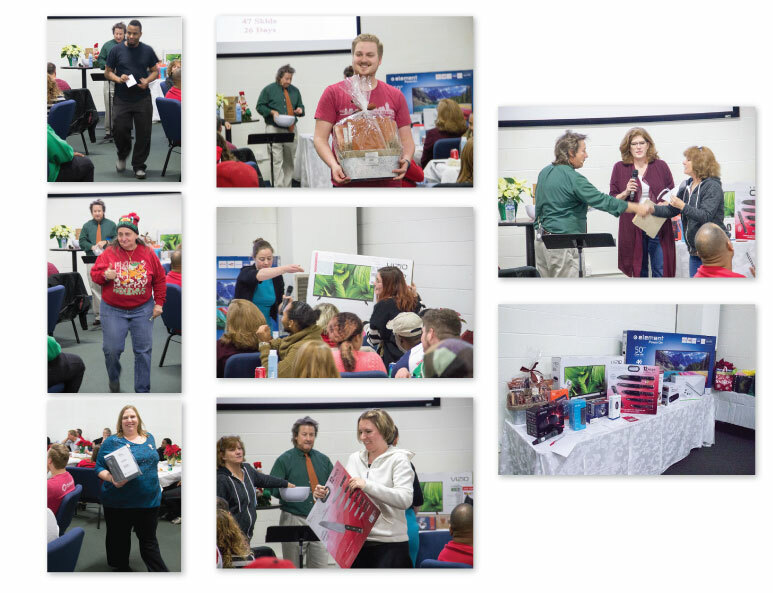 Once the food was devoured, everyone participated in a company-wide raffle. The raffle has some pristine gifts such as: an Amazon Echo, virtual reality goggles, an Xbox One, a Kindle Fire, a 12 piece cutlery set and a 50 inch TV among other things. 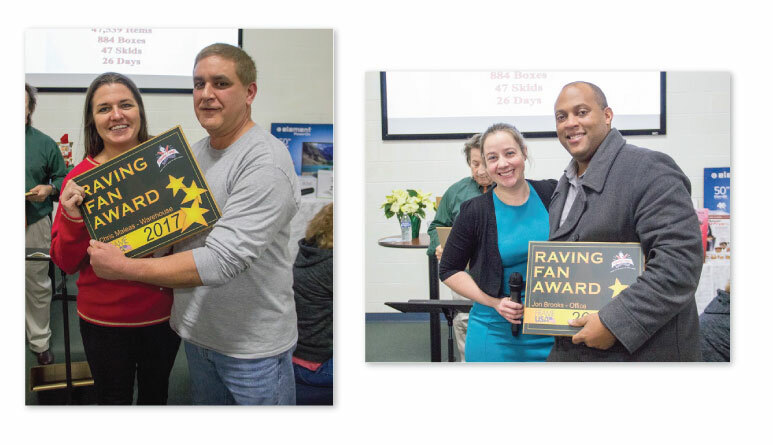 In addition to the raffle, prizes were awarded to a few individuals who went above and beyond and had exceptional work in 2017. The first award was our Raving Fan Award. What’s a Raving Fan you ask; a Raving Fan is a customer that is more than just satisfied with services and products….they RAVE happily about them. 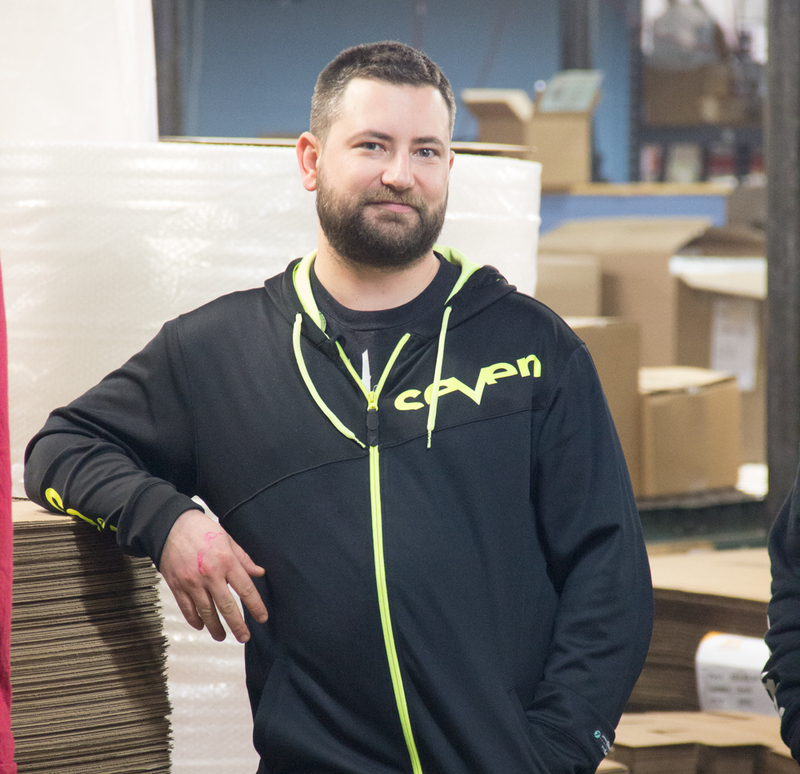 Raving Fans return to a business because they are thrilled with the service from the minute they view the company’s websites to the minute they receive their product. Not only that, these customers RAVE about the company and the service to all their friends and family so those people will want to see and experience it for themselves! Jon from the office team and Chris from the warehouse team were the recipients of this award. Our next award was the Most Valuable Player and our team is so strong that we had FOUR MVP’s! 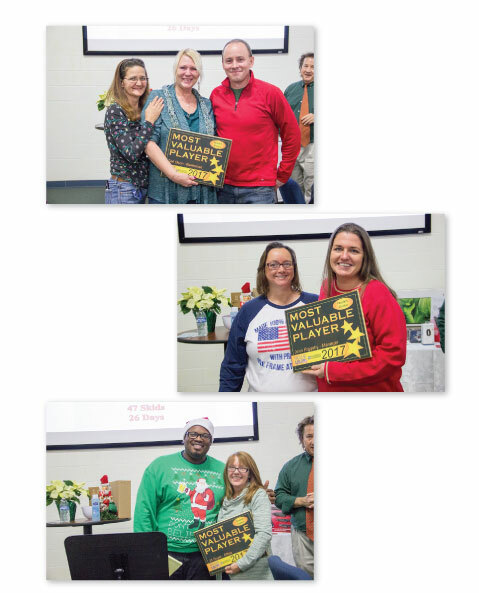 Jenn was Frame USA’s most valuable manager of the year, Jill won the award for the office team and the warehouse team had two winner, Gail and Carla. 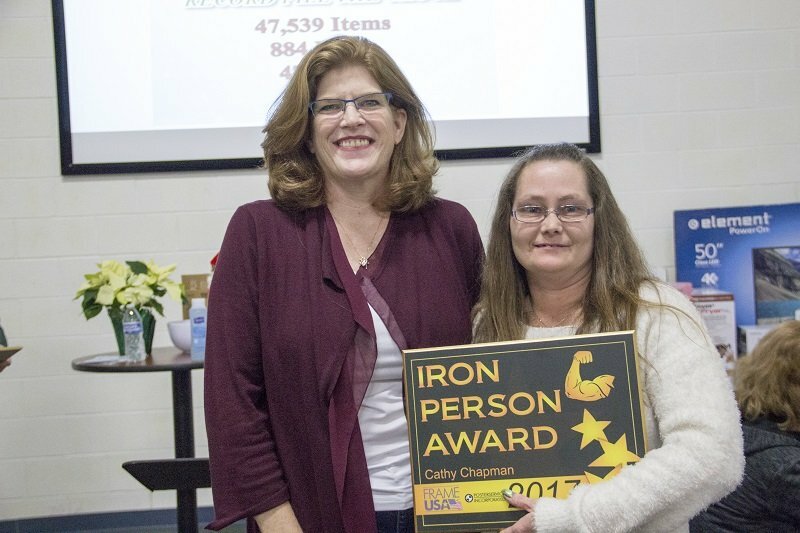 Our third award of the night was the Iron Person Award. This was given to someone who was versatile in their abilities to help out at Frame USA and they exemplified great efforts with going above and beyond the call of duty. This award was given to Cathy for the outstanding accomplishments she achieved throughout 2017. 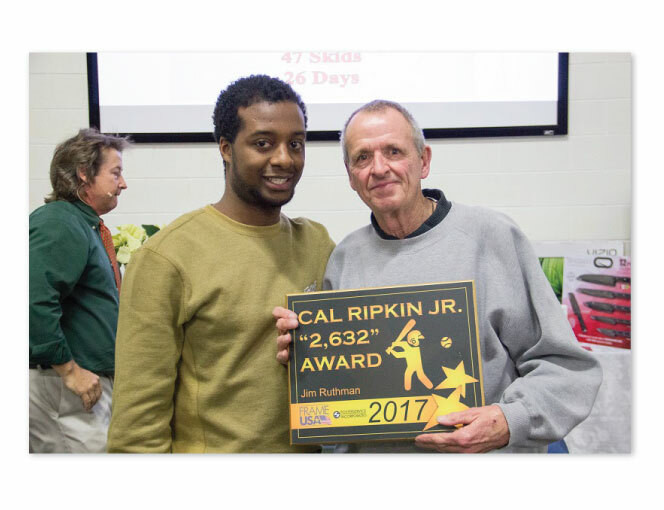 The final award of the night was the Cal Ripkin, Jr. “2,632” award and it was rewarded to Jim. Overall the party was a complete success! 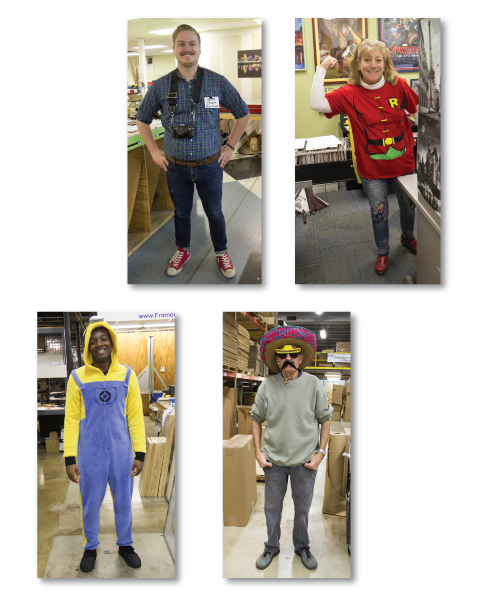 We hope that everyone had just as wonderful a holiday season as we did at Frame USA. As we enter 2018 we’d like to say that for over 30 years we have been proud to be an American made business. Producing more than 3,000 frames a day, we use 100% U.S. raw materials and also manufacture 100% in The United States. When you buy from us, you don’t just receive outstanding picture frames — you’re supporting American jobs, workers, and economy. We hope to continue to supply you with frames well into 2018 and beyond! Hello “Inter-webs”, my name is Whitley Dubose, the Marketing Manager for Frame USA, and I am one of the biggest digital media nerds you will probably ever meet (#ProudOfIt). To put this into perspective, while other children played outside or hung out with friends, I was always in front of a computer building websites or creating graphics that I’d share with my friends online. 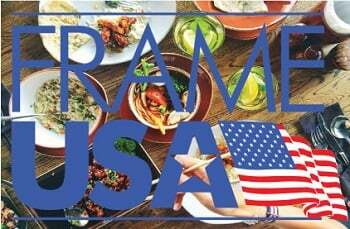 As the newest addition to the Frame USA team, I’m very excited about this new Marketing journey in my career. 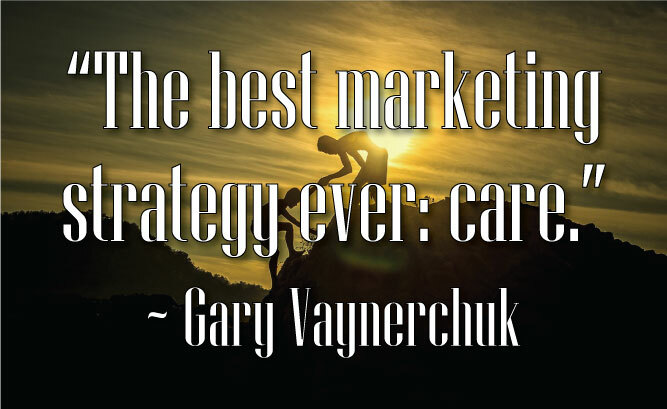 I look forward to sharing my thoughts and ideas with the team to help “play the long game” and to help take Frame USA’s marketing initiatives to the next level. 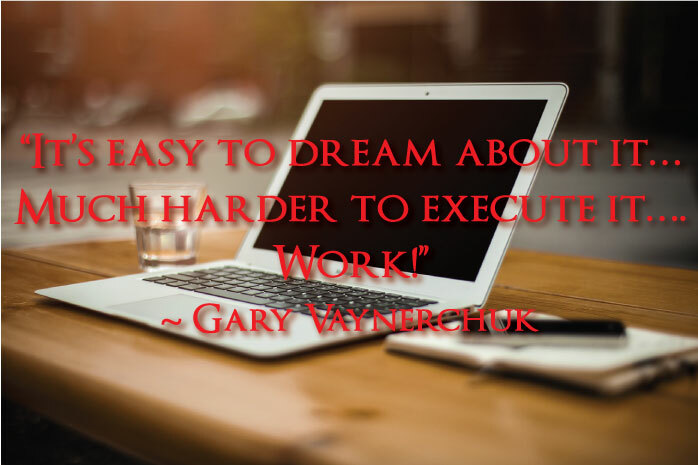 After all, teamwork makes the dream work, right? “In December of 2010, Dan Regenold, CEO of Frame USA, had a vision; to fill an entire 53′ foot semi-truck for a local charity. He knew this would be his biggest charitable giving project and he would need a team to assist him. He put together a team of giving coordinators consisting of: packers, donation collectors, marketing professionals and more, to help coordinate this massive event in under 30 days. By the end of December, Frame USA ended up needing a second truck because they over filled their semi by 7%. This resulted in 833 boxes and over 30 skids equaling more than 22,200 donations! The truck didn’t stop there. To Dan, the truck represented hope, life and a second chance for people within his community who were down on their luck. It was at this point that the truck became a catalyst, ultimately giving birth to what is now called Fill The Truck. 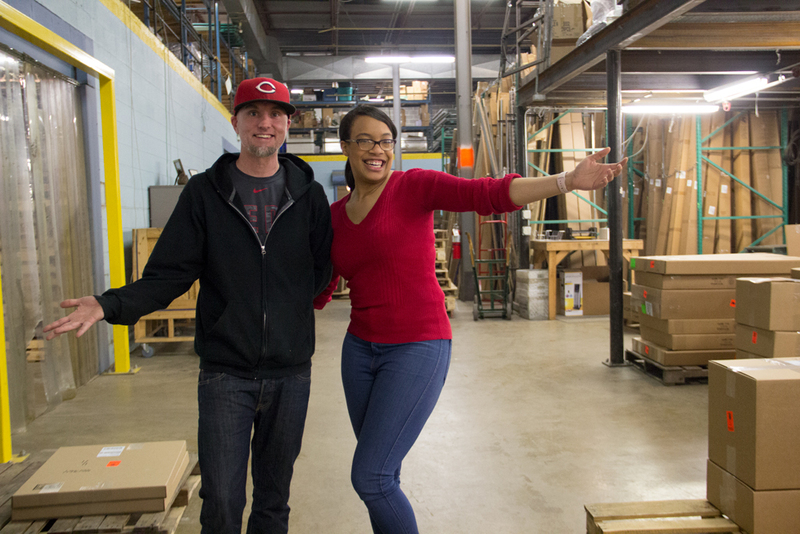 In 2011, Frame USA expanded the Fill The Truck charity initiative to partner with 9 businesses to host a total of 8 trucks and/or storage units throughout the greater Cincinnati, northern Kentucky and southern Dayton area. 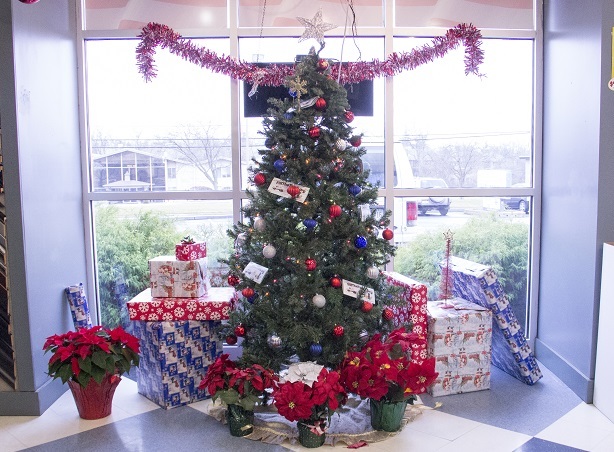 Each business hosted a truck and collected donations for a local charity. In 2012, Fill The Truck hosted 6 trucks at 6 different locations. 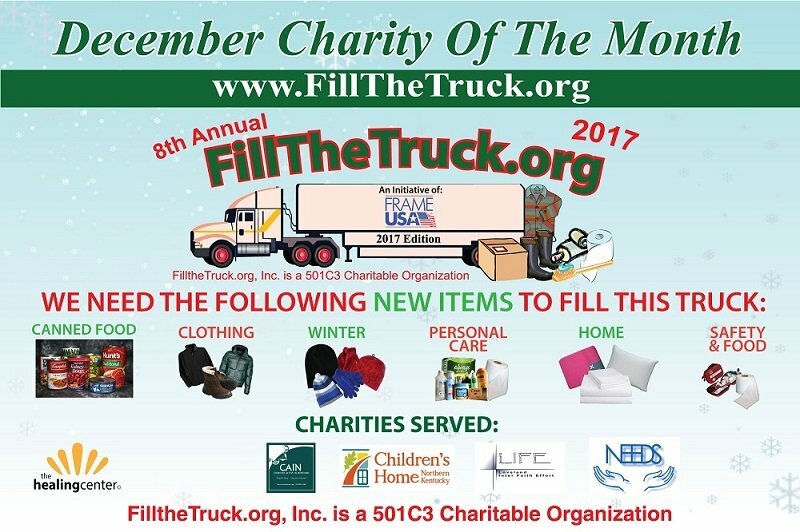 In the last two years, 2015 and 2016, Fill The Truck has grown and in each of the last two years the charitable initiative has collected over 40,000 items at multiple locations throughout greater Cincinnati. This year, the 2017 vision is to fill multiple trucks and provide substantial donations to each charity. We have partnered with 17 different businesses and corporate partners to donate items to seven great charities. To help with the vision, Frame USA will be donating to Fill The Truck in appreciation for your online order for the month of December. 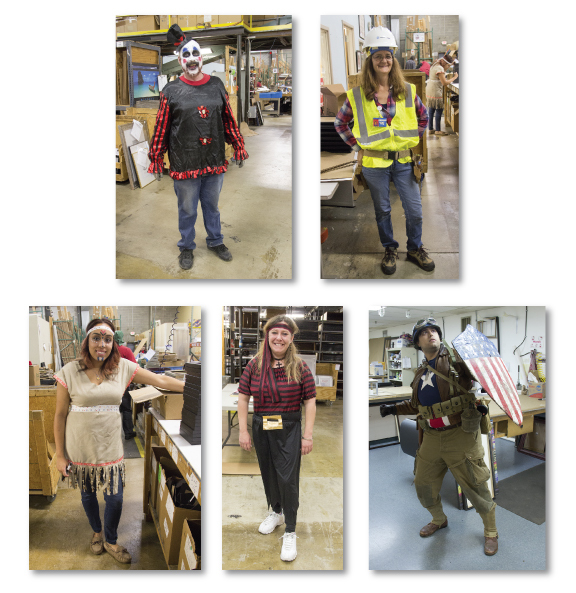 On Tuesday, October 31st Frame USA once again hosted it’s annual Halloween party! The party features festive food, snacks and drinks and there is a pumpkin decorating (we’ll call it decorating instead of carving because some pumpkins were painted) contest as well as a costume contest. 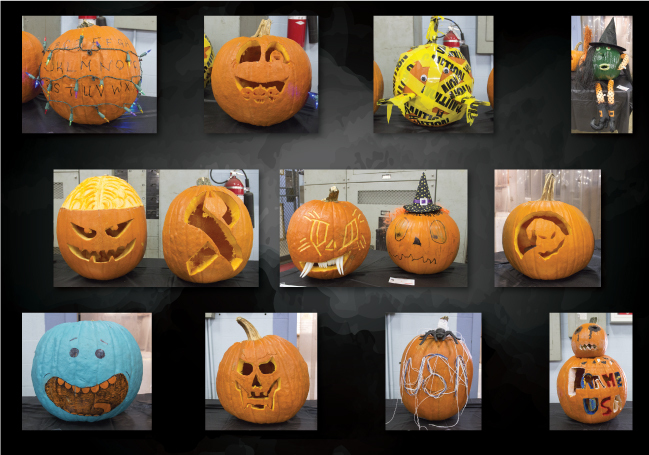 The origins of carving pumpkins at Halloween began in Ireland in the 19th century. 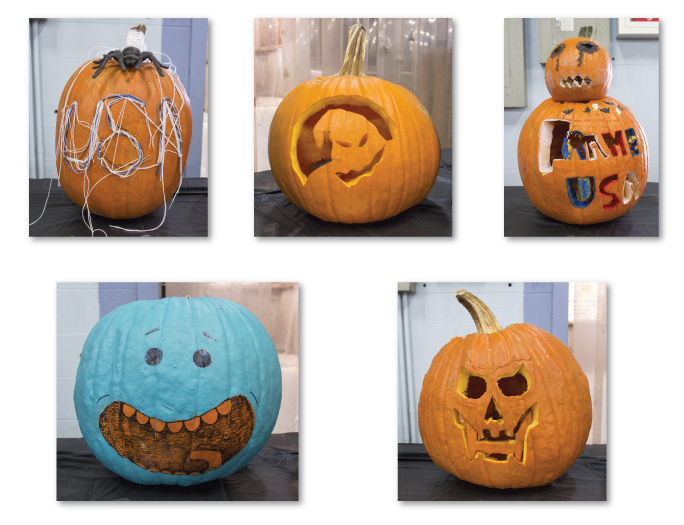 Originally people hallowed out turnips to act as lanterns and often carved them with obscure faces. 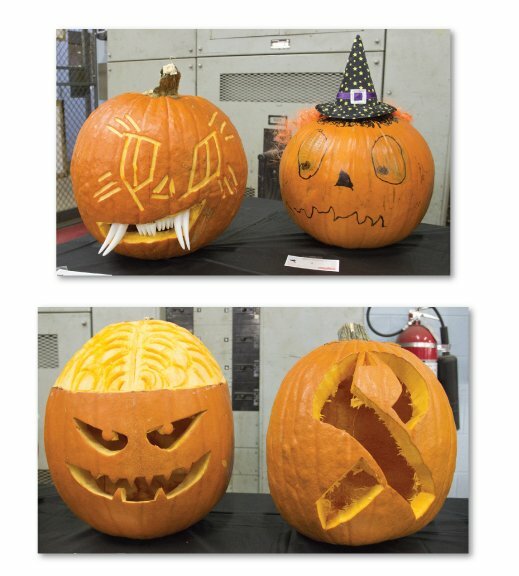 Jack-o’-lanterns were said to represent the spirits or supernatural beings (used by people to frighten others),or were used to ward off evil spirits (set in places to keep harmful spirits out of one’s home). 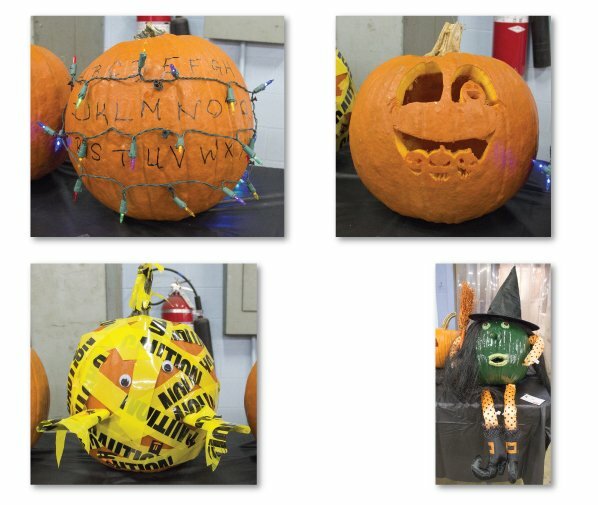 In addition to all these wonderfully decorated pumpkins we crafted, there was also a costume contest which many of our employees participated in. 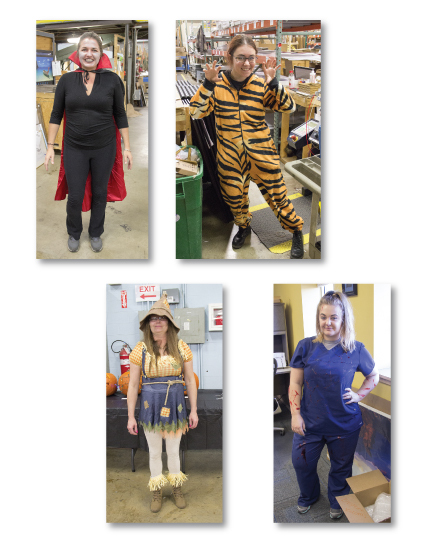 It is thought that wearing Halloween costumes began in Scotland in 1585 with the custom coming from Celtic festivals. 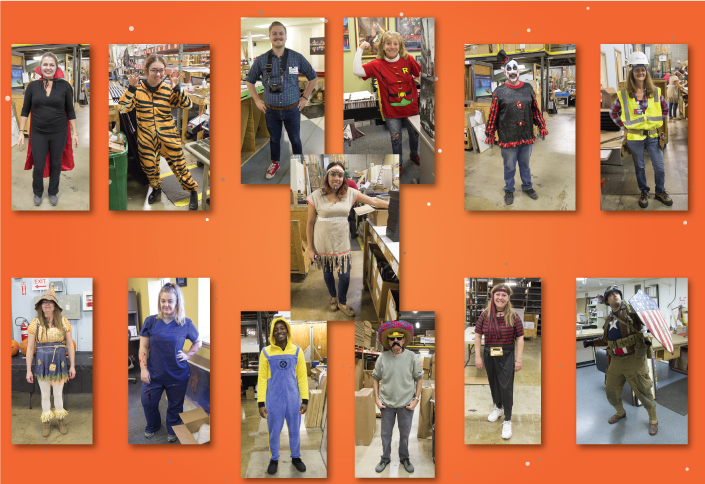 Halloween costumes were traditionally based on supernatural or terrifying characters but by the 30’s, costume trend took a turn with more of them being based on characters in mass media, film and literature. We hope everybody have a safe Halloween and enjoyed it as much as we did! “St Jude Children’s Research Hospital was founded in 1962. St. Jude’s is a pediatric treatment and research facility that is focused on children’s catastrophic diseases. The hospital costs around $2.4 million a day to run and there is no cost to be treated. To help with the vision, Frame USA will be donating to St. Jude Children’s Research Hospital in appreciation for your online order for the month of November. October 24th, 2017 is National Food Day in the USA. This day is all about showcasing healthy food and encouraging people to change their diets for the better. The whole idea is to help people Eat Real, which means limiting the amount of pop and sugary drinks, extremely salted foods, factory farmed meats and other unhealthy items and increasing the intake of fruits, sustainable raised protein, vegetables and whole grains. National Food Day was started in 2011 by The Center for Science in the Public Interest (CSPI). The CSPI provides advice and advocacy for a healthier food system by educating the public and pushing for government policies that are enforce what we know about the dangers of the food we intake. So do your part and start today! Eat a healthier dies and put your family’s diet on track for success. 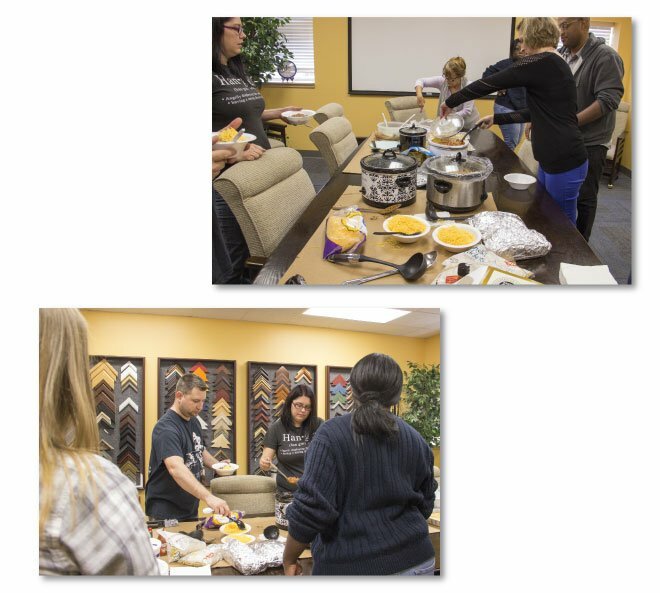 On Friday the 13th, Frame USA once again hosted it’s annual chili cook-off! 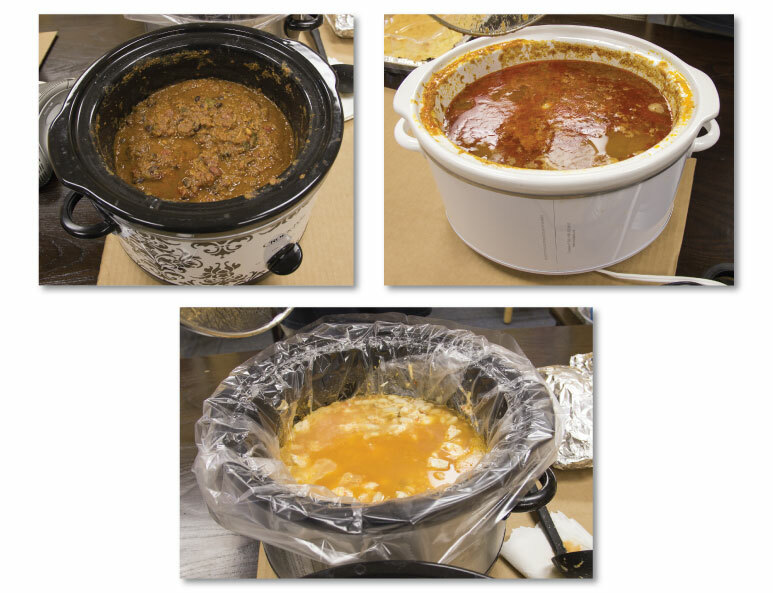 This year there were three different competitors who brought their own homemade chili recipes for us all to tryout. 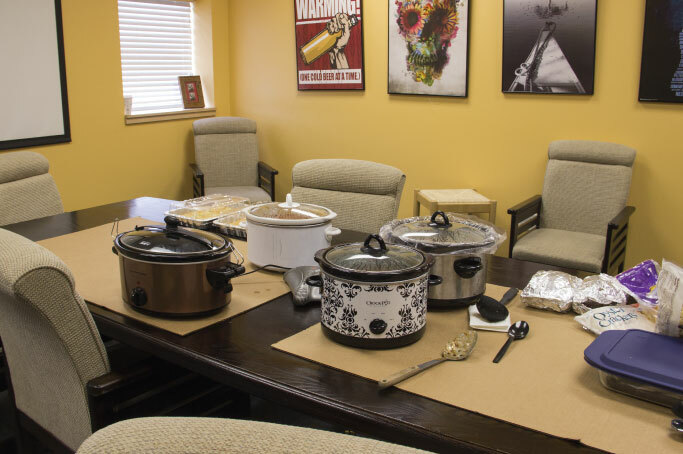 There was chicken chili, turkey chili and a spicy beef chili that the entire company feasted on. All three chilies were delicious and attempting to select a winner tore the company apart. 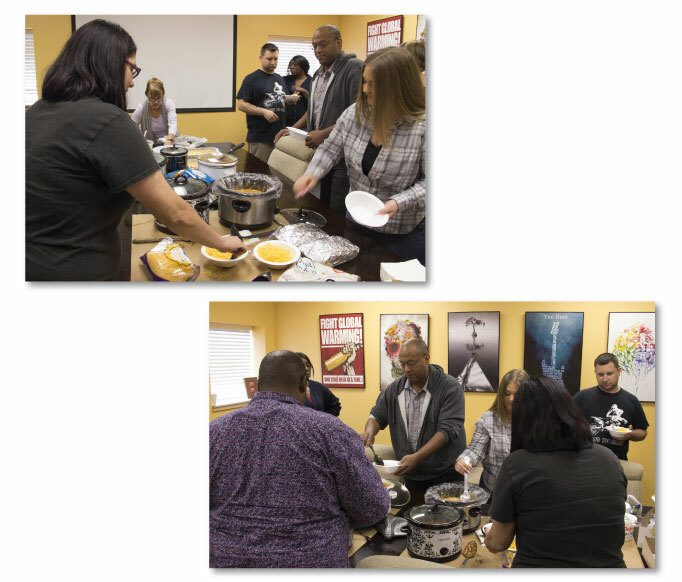 In addition to the chili we also had people bring in very tasty side dishes including homemade cornbread, jalapeno cornbread, black bean brownies and spinach artichoke dip among other things. 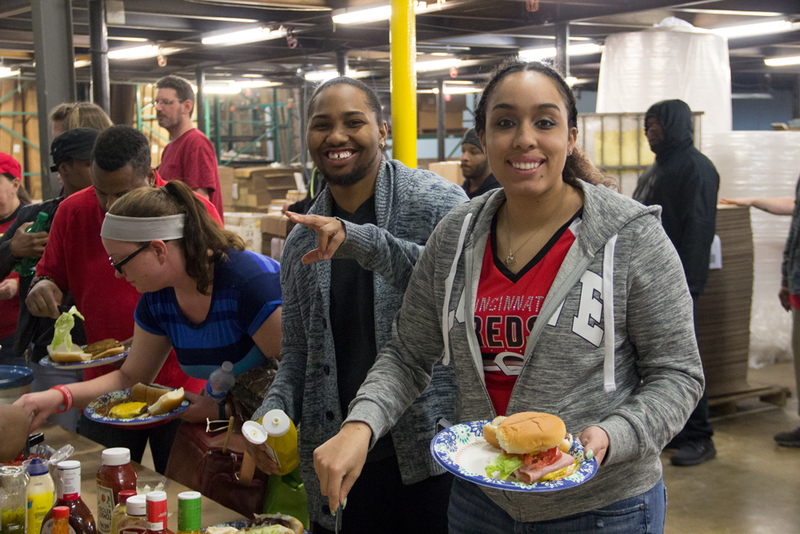 Take a look at how the employees were enjoying the feast!